A 35-year-old man, Bawa Joshua, on Monday appeared in an Ado-Ekiti Chief Magistrates’ Court, for allegedly pouring hot semovita on his wife, Grace. The defendant had pleaded not guilty to a count charge of assault. The prosecutor, Insp. Johnson Okunade, told the court that the defendant committed the offence on May 7, at about 8:00 p.m., at Ayoomodara St., Ado-Ekiti. He said the defendant quarreled with the complainant, and in the process poured hot semovita on her, which caused her harm. He said that the offence contravened Section 415 of the Criminal Code, Law of Ekiti State, 2012. The prosecutor applied for adjournment to enable him to study the case file and present his witnesses. The defendant’s counsel, Mr Kayode Oyeyemi, urged the court to grant bail to his client, and promised that he would not jump bail. 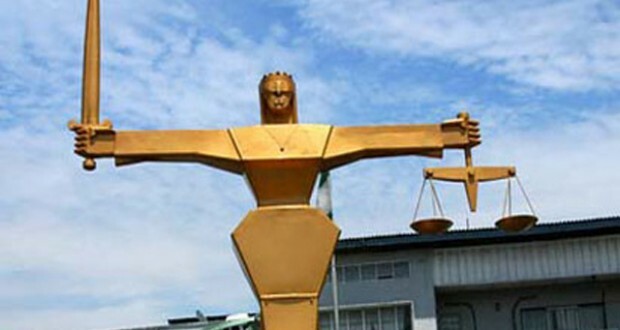 The Chief Magistrate, Mr Adesoji Adegboye, granted bail to the defendant in the sum of N50,000 with one surety in like sum and adjourned the case until June 15 for hearing.